Comments: A variety with outstanding flower variegation from an almost solid red to almost white. 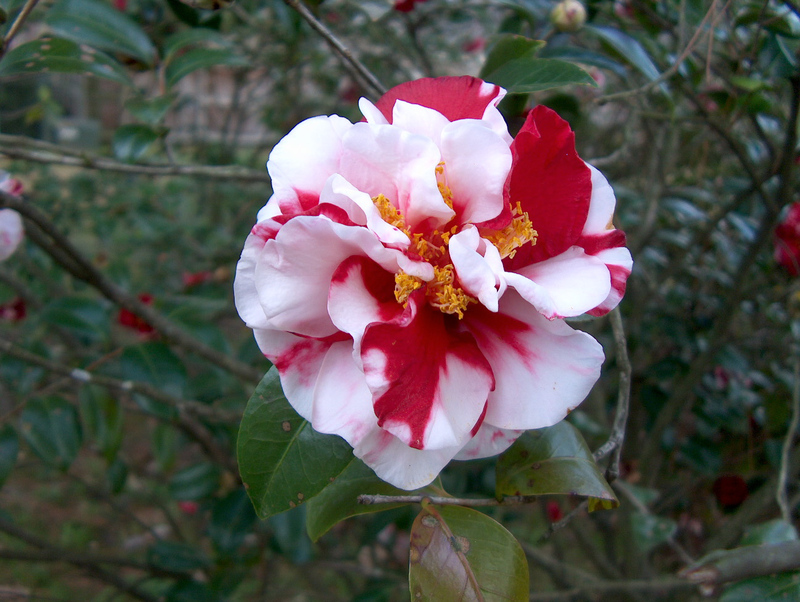 Variegation in most camellias is caused by a virus infection. This is an old variety, but still offers a lot of delightful flowers during the winter months. Plant camellias in a well drained soil and partial shade for best performance.